There's a lot to be said for a good red nail polish. Whether you want a classic red, pillar box red or something ever so slightly different, there's a red for every occasion and person. I have more reds than is probably normal, but they all have a special place in my heart, and none more so than Raspberry from Barry M.
For the last couple of years Raspberry has been my red nail polish of choice. I just love the shade; it's deep but not too deep, ever so slightly pink toned but not too much and red enough that it's classic but without it looking too bright. This is the one polish that I feel I always have to have in my collection, so as soon as I'm close to finishing a bottle I buy another one. I don't do that with any other shade. The photo above shows 2 coats of Raspberry with top coat. The application is perfect; it's smooth and easy to control and you definitely don't need a top coat to even it out, I just like to speed up drying time and add that extra oomph of glossiness that Seche Vite gives. 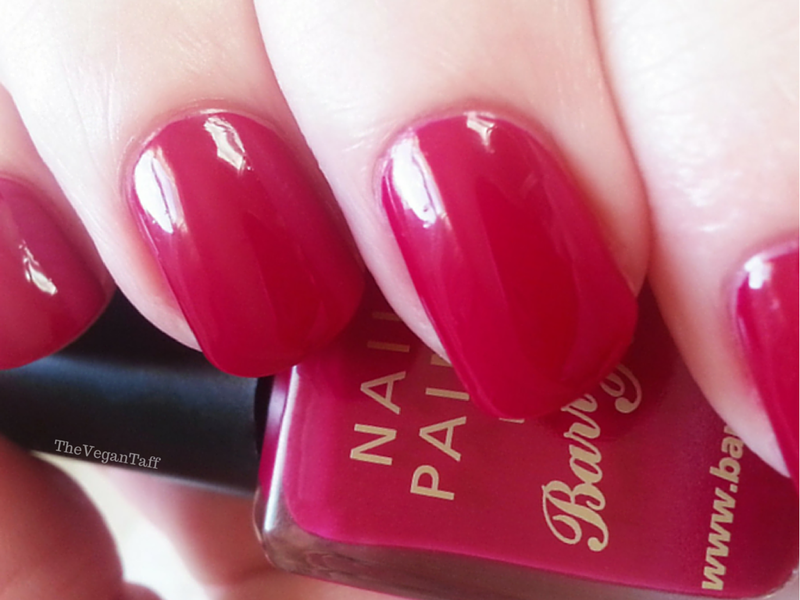 Barry M Raspberry is available online or from Superdrug stores nation wide and online for £2.99.